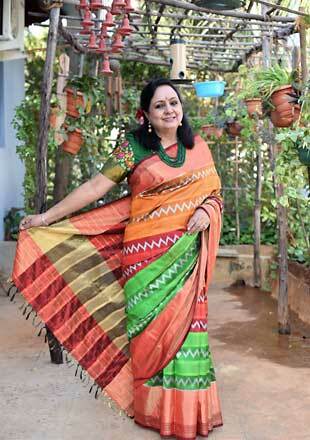 Browse through any Indian woman’s wardrobe, one is sure to find at least one colourful sari if not rows of them. The ardent sari lovers will have saris of different materials, ranging from breezy cotton ones to detailed embroidered silk saris in the closet. But with increasingly modern lifestyle and women choosing functional contemporary clothes over traditional saris, the sari, unfortunately, has been relegated to an outfit worn only on special occasions. To revive the tradition of wearing a sari on a daily basis, two friends made a pact to wear saris 100 times a year. This was in 2015 which soon evolved into a full-fledged movement, where women from all over the world began to share their sari stories. The garment became a medium for many to join the campaign and show their love for it.